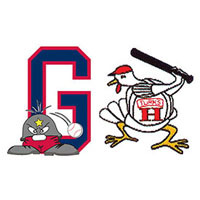 Harrisonburg got four runs in the fifth, and James Ziemba and three Turks relievers made them stand up in a 4-2 win over the Waynesboro Generals in Game 1 of the teams’ Valley League best-of-three playoff series. Ziemba gave up two runs, one earned, on six hits in six innings, striking out three and walking four. Waynesboro got on the board in the top of the first on an RBI groundout by Clayton Taylor, but the Generals left the bases loaded, and let Ziemba off the hook. That same scenario materialized in the fourth when Waynesboro went up 2-0 on a bases-loaded walk to Chris Cook, but the Generals again left the bases loaded. Harrisonburg finally got on the board in the fifth, tying the score at 2-2 on a two-run double by Kameron Esthay, then taking the lead on a two-run single by Shane Billings that made it 4-2 Turks. Waynesboro threatened in the sixth and eighth, but stranded two runners on base each inning, ending the night leaving 12 runners on base. Vince Braman took the loss for Waynesboro in a complete-game effort, giving up four runs, three earned, on six hits in eight innings, striking out three without issuing a walk. Game 2 is Thursday at 7 p.m. at Linco Park at Kate Collins Field.